Northerntruthseeker: Justin Trudeau Is Now Showing His True Colors: Trudeau-bama To Promote Horrific TPP Agreement - Not A Hope In Hell For Real Change! Justin Trudeau Is Now Showing His True Colors: Trudeau-bama To Promote Horrific TPP Agreement - Not A Hope In Hell For Real Change! Yes, the Canadian "honeymoon" period after Canadians threw out the horrific Harper dictatorship and replaced it with the new Trudeau Liberals is now officially over.... It is definitely now that we are finding out Justin Trudeau's true agenda and what he has in store for this formerly free nation called Canada... Honestly, we as Canadians just replaced one dictator that was ruining Canada with very possibly another! Trudeau-bama to promote TPP- Not a Hope in Hell for Real Change! Canadians, he said, had sent a clear message that it's "time for change in this country my friends. Real change." "We beat fear with hope," Trudeau said. "We beat cynicism with hard work. We beat negative, divisive politics with a positive vision that brings Canadians together." Real Change? Not even close! : From "Canada Saw Red"
Trudeau will divide this country, same as Harper did, just in a different manner. The more things change. The more they are exactly the same. Oh and smart money says we will still cater to Israel! Three of my predictions have already shown themselves as accurate! On October 20, Trudeau announced the end of the Canadian combat mission in both Iraq and Syria. [i] He had spoken with the United States President Barack Obama and explained to him that he was committed to ending the air support Canada was providing in the fight against the Islamic State in Iraq and Syria (ISIS). He assured that Canada would continue its humanitarian efforts and would expand the training of Iraqi fighters. In military terms, the impact of the Canadian air forces’ withdrawal from the fight against ISIS will be minimal. Canadian forces did not account for a large percentage of the aerial bombardments against ISIS targets. [viii] Although the impact of the withdrawal of Canadian air support will have little military impact there is, however, an impact on the perception of Canada by international actors. 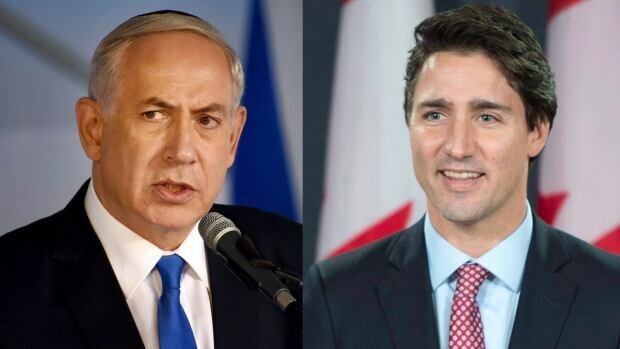 "Mr. Trudeau has been very consistent from the very beginning of his campaign, in expressing his support for Israel," said Barak. "I'm sure maybe the style will change," the envoy added. "But I don't feel there will be a change on the substance. I'm really reassured." Trudeau also "explained there would be a shift in tone but Canada would continue to be a friend of Israel's," she added. Japan’s Prime Minister Shinzo Abe and Canada’s prime minister-designate Justin Trudeau agreed to promote the Trans-Pacific Partnership (TPP), both seeing the free-trade deal as beneficial to the region, Japan’s foreign ministry said in a statement. In just two weeks? Three correct predictions! Not bad! Not bad at all! I expect all the other predictions will come to fruition also. It's not difficult to predict the predictable. NTS Notes: Lets be very truthful right here for those who are unaware of the stipulations of the so called "Trans-Pacific Partnership" agreements that were signed off by the outgoing dictatorship under Stephen Harper's regime... First and foremost is the fact that the entire "agreement" was signed in complete secrecy (Now why in the hell would they do that? Got something to hide?) which is a travesty and a violation of the citizens of our nation's "right to know".... It shows that there are definitely clauses in this "agreement" that would have most citizens in uproar and possibly on the streets in protest! The major contentious issue of the so called "TPP agreements" will give big corporations complete control over all media and reports that pertain to their products, services, and actions... What this means is that any whistle blower out there that has been fighting for exposure of the criminality of these corporations, and has publicized his/her findings, would be in violation of the corporation's "ownership" of said material.. It is along the same laws as "copyright" laws that prevent many writers from re-posting or writing material without the consent of the original author... This part of the agreement would basically put all bloggers, writers, and anyone at risk of violating any corporation's rights and would basically shut down any freedom of information that exposes criminal activities within those corporations... AKA... "whistle blowing".....Corporations will be able to get away with their criminal acts and basically rule over their own nations' citizens! Then of course there is one other major problem with the TPP, which is the fact that the TPP would continue to make the failing US dollar "ruler" over all trading made within the TPP nations... .Basically with the collapse of the US dollar and nations moving rapidly away from the US dollar as their reserve currency, the TPP would instead force member nations to continue to use the US dollar as their trading currency and when it collapses, all nations that are part of the TPP would be in danger of collapse as well....It is no wonder the US itself has been in such a rush to have nations sign on to this horrific agreement! The bottom line is that the TPP is a right and freedom stripping agreement that makes both corporations and the US dollar king.... It is an abomination and as Penny points out it is a travesty that the incoming Trudeau government is all for it!